Some of the most challenging work we do is demolishing a shed, house, or other structure that is known to contain asbestos materials. Demolitions are carried out for many different reasons on many different types of structures. This might have to be done because the cost of repairing or refurbishing an office building would be too high compared to constructing a new one. It might be that the old shed in the back has finally had it, and can’t be repaired. 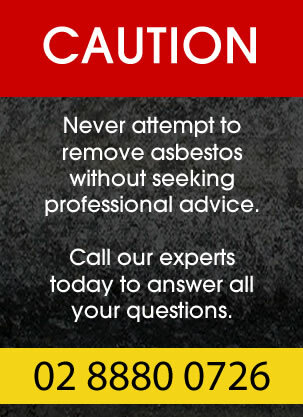 Many areas in a building have the potential to contain asbestos. Sprayed or loose asbestos (one of its more dangerous forms) was often used to full ceiling voids and around ducts to act as a fire break, and to provide insulation. Pipes and boilers were often insulated with asbestos to make them more efficient. Asbestos containing cement products are also very common, and were used in everything from moulded gutters to ceiling tiles and large corrugated structural sheets. Vinyl, linoleum and thermoplastic floor tiles are often asbestos-backed. Asbestos was often mixed with bitumen (tar) to make a waterproof roofing material. The difficulty in demolishing a structure that contains asbestos is taking it apart safely, and in a manner that prevents dust and fibres of asbestos from being released into the air or onto the surfaces of the site. Typically, the best way to achieve this is to remove all friable asbestos and friable asbestos-containing materials form the structure before demolition takes place. This follows much the same procedure as in asbestos removal above, but of course when the building is scheduled to be demolished the work can usually be done more quickly and efficiently, and with less regard to protecting the interior or exterior of the structure from damage. The matter of handling non-friable asbestos materials before demolition is more complicated. Certain types of non-friable asbestos material ca be handled just like any other material in a demolitions context, but others present a substantial hazard. Both applicable regulations and best industry practices demand that these materials be removed using full safety procedures before normal demolition commences. This assessment must be performed by a licensed asbestos removal specialist, and should follow a full inspection and testing procedure. If you would like advance or have any questions regarding a demolition project please contact our team today for expert advice. Our quotes are affordable and we have teams available throughout all locations.